International parcel delivery company UPS is purchasing hydraulic hybrid vehicles that promise dramatic fuel savings and environmental benefits. As part of a public-private partnership to increase the commercial availability and use of alternative fuel vehicles, UPS is purchasing hydraulic hybrid vehicles that promise dramatic fuel savings and environmental benefits. UPS was the only company in its industry asked to road-test the technology two years ago and now becomes the first delivery company to place an order for the hydraulic hybrid vehicles (HHVs). With a diesel ‘series’ hydraulic hybrid of the type being purchased by UPS, a high-efficiency diesel engine is combined with a unique hydraulic propulsion system, replacing the conventional drivetrain and transmission. The vehicle uses hydraulic pumps and hydraulic storage tanks to capture and store energy. For its part, the diesel engine is used to periodically recharge pressure in the hydraulic propulsion system. Fuel economy is increased in three ways: vehicle braking energy is recovered that normally is wasted; the engine is operated more efficiently; and the engine can be shut off when stopped or decelerating. The technology was originally developed in an Environmental Protection Agency Federal laboratory. Disclosing the results of its road testing on Detroit routes for the first time, UPS and the US Environmental Protection Agency (EPA) said that a prototype vehicle had achieved a 45 to 50 per cent improvement in fuel economy compared to conventional diesel delivery trucks. 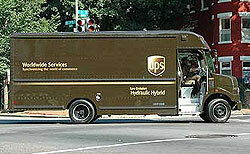 UPS believes similar fuel economy improvements and a 30 per cent reduction in CO2 are achievable in daily use. The company will deploy the first two of the new HHVs in Minneapolis during the first quarter of 2009. Eaton, which helped develop and refine the vehicle’s hydraulic hybrid power system, will monitor the vehicle’s fuel economy performance and emissions in the Minneapolis area. An additional five HHVs will be deployed later in 2009 and early 2010. 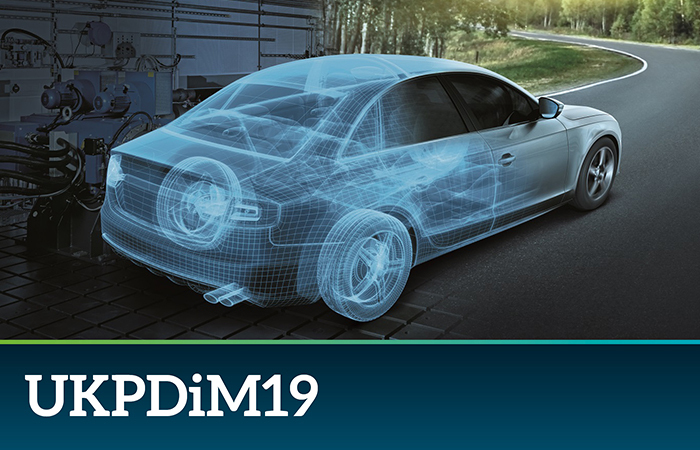 The EPA estimates that when manufactured in high volume, the added costs of the hybrid components can be recouped in less than three years through lower fuel and brake maintenance costs. The first group of the trucks will be manufactured by Navistar International.